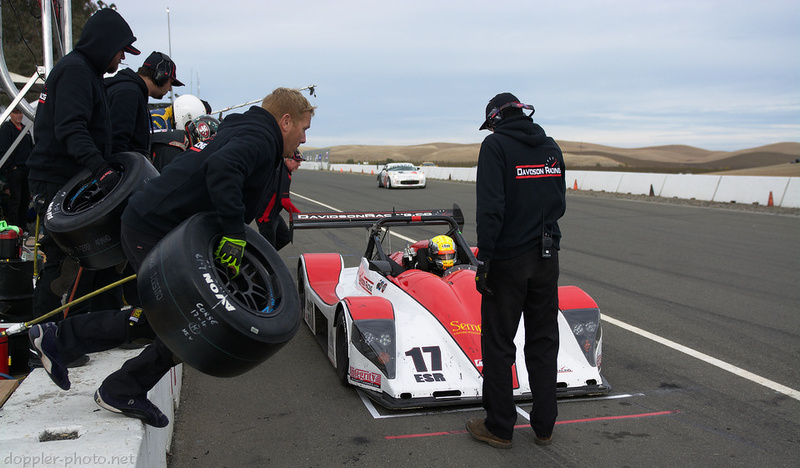 AIM Tires is the permanent tire-mounting shop at Thunderhill Raceway. Alan (right) runs the shop, and his brother Nick (left) helps out during the big races. Just watching how they work together, you can tell they've been at this for ages. 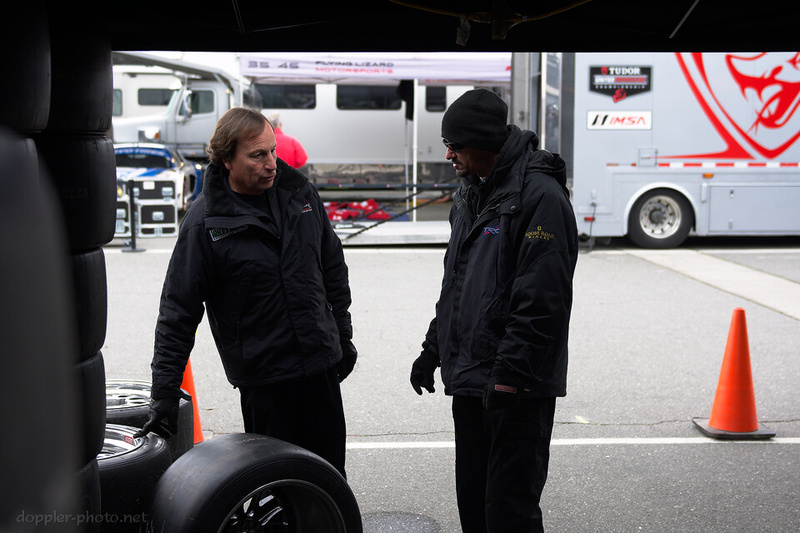 During the race, I asked Alan about a time when he's felt concerned, and the two stories he shared reinforced the notion (which I've shared before) that fuel and tires are the two currencies of motorsports. "I was working on our tire machine and just putting the tire on the rim. And the bars just happened to snap right down and kinda break on me while I'm in there. And I had a line of tires to go through… I had to stop everything, fix that machine, get it going before I could continue, you know? And I was the only one in the shop working on it." "And last year, during the 25-hour event, our shop actually flooded… [we had to] block off this entrance right here, so water couldn't get in any more. It just kept comin' and comin' and comin'. Kind of had to slow things down a little bit, kinda scoop the water out too…"
The other thing I noticed was that the concerns he shared centered on situations that were out of his control. When it came to challenges that he could impact directly, they didn't seem to merit concern so much as, just, awareness. When he mentioned them, he simply told me "you gotta watch out." The echoes of Alan's two stories appeared throughout the race, but particularly Sunday morning, when rain and mechanical breakages combined to make the going that much more difficult for the teams who were still putting in laps. And the factors compounded — the tough conditions induced mental fatigue, and mental fatigue leads to mistakes. And then the rain makes it more difficult to recover from those mistakes, leading to more work and more fatigue. The race had started off simply enough, though: tall stacks of rubber, and teams eager to put that rubber to use. 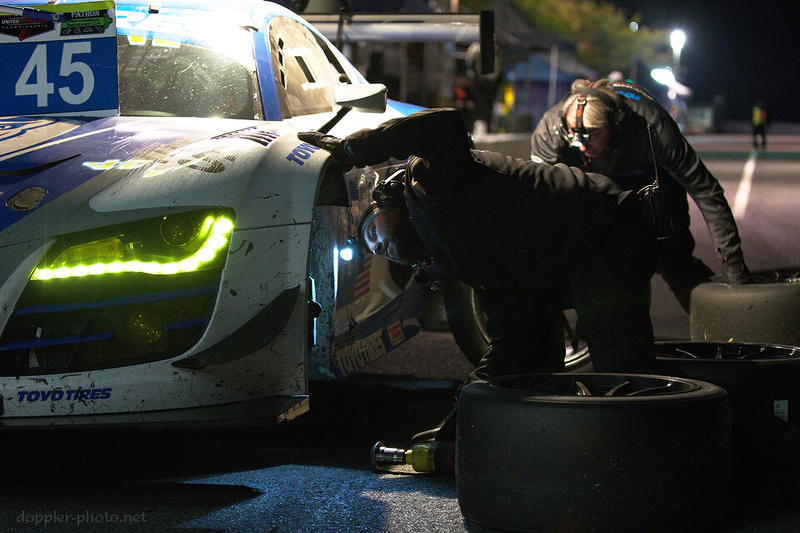 When a car would slide into the pits for a tire change, the teams leapt into action. Off with the old rubber, and on with the new. Out with the old driver and in with the next. Add some fuel to the mix and get back out on track. And when the rain finally arrived, it was a similar story. The still-hot slicks steamed as the rainwater evaporated into the cool night air. 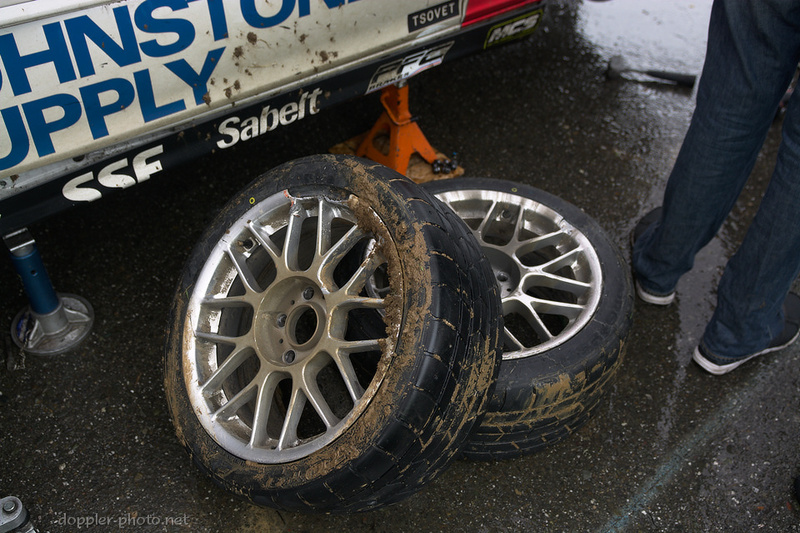 The wet-weather tires went on — less rubber to grab the track surface, but the gaps would let the rainwater get out of the way as the teams struggled to keep pace in the worsening conditions.